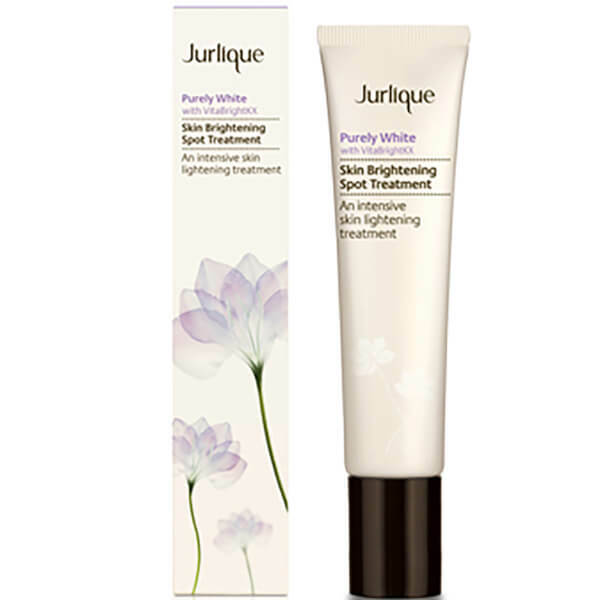 Precisely target areas of discolouration with the Jurlique Purely White Skin Brightening Spot Treatment; an intensive, skin lightening solution that seeks to reveal a uniform complexion. Infused with a potent dose of brightening ingredients, the spot treatment is designed for targeting areas of hyperpigmentation in need of intense, additional brightening. Ideal for use on dark spots, acne scars and even freckles. Dispense a small amount onto targeted area in an even layer and allow to dry completely onto the skin. Wait at least 10 minutes before applying makeup and/or sunscreens for optimum absorption. Apply 2-3 times daily. Aqua (Water), Glycerin, Niacinamide, Citrus Unshiu Peel Extract, Caprylic/Capric Triglyceride, Calcium Aluminium Borosilicate , Carthamus Tinctorius (Safflower) Oleosomes, Ascorbyl Glucoside, Silica, Terminalia Ferdinandiana Fruit Extract, Palmaria Palmata Extract, Chamomilla Recutita (Matricaria) Flower Extract, Rosa Gallica Flower Extract, Glycyrrhiza Glabra (Licorice) Root Extract, Viola Odorata Extract, Viola Tricolor Extract, Sambucus Nigra Flower Extract, Anogeissus Leiocarpus Bark Extract, SD Alcohol 40-A (Alcohol 40-A), Carrageenan, Microcrystalline Cellulose, Cellulose Gum, Fragrance/Parfum*, Pearl Powder, Totarol, Sodium Bicarbonate, Ethylhexylglycerin, Phenoxyethanol, Sodium Benzoate, Chlorphenesin, Limonene*, Linalool*, Citronellol*, Geraniol*, Eugenol*, Benzyl Benzoate*, Isoeugenol*. *From Natural Essential Oil.